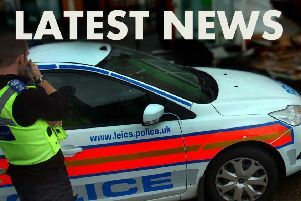 An 18-year-old Melton man is due to appear in court this morning (Monday) charged with committing a number of offences in the town including wounding. Michael McCarthy, of Bramley Close, is charged with wounding with intent to cause grievous bodily harm to a man, possession of an offensive weapon – namely a knife – and using violence to secure entry into a premises. He is also charged with assault against a woman. Leicestershire Police say the charges relate to an incident in Shepherds Croft, Melton Mowbray, yesterday (Sunday). McCarthy was remanded in custody and will appear at Leicester Magistrates’ Court today.